Lots of students may get a confused after completing their 12th commerce... but i am going to solve your problem in just 5 to 10 minutes. After completing 12th commerce there are so many courses available like Finance, Banking, Accounting, Economic, Foreign Trade, Chartered accountancy, Company Secretary, insurance, Stock brooking, Investment Analyst, Advocate, B.Com, Bachelor of Commerce (Hons. ), B.com - Computer Applications, BBA- Accounting and Finance, B.Com LLB, CMA, B.A., CFP-Certified Financial planner. here is the list of all courses after 12th commerce. this is all courses are professional courses after 12th commerce. 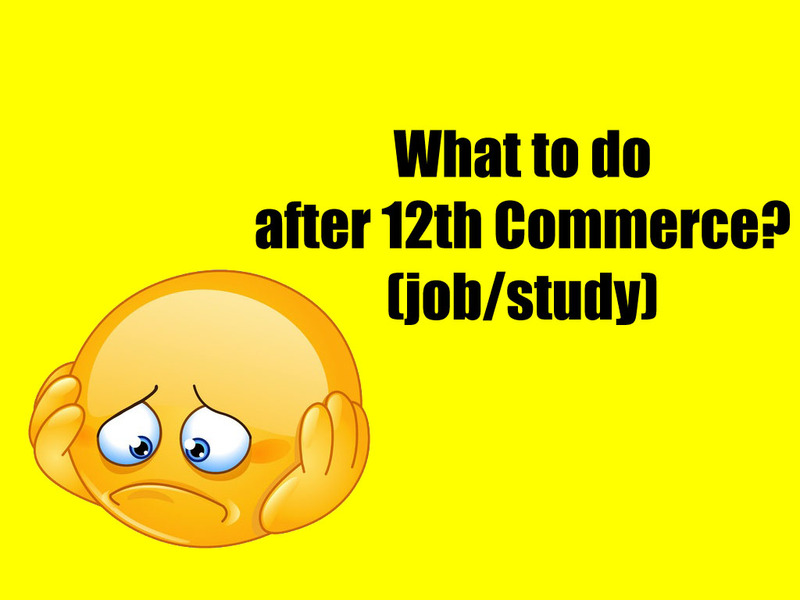 If Complete your 12th in commerce stream so you have list like above list but not all course are full time so of course is Short term course. B.Com, B.B.A, B.C.A, is full time three year course. You can Also Purse your Post graduate Courses like M.Com , M.B.A. , M.C.A form university. During This course students can do other course like e-commerce, Marking and many more.